Last week, we celebrated International Women’s Day with Nielsen’s Women in Nielsen organization. We focused on the “why” behind the day: applauding all that we have accomplished as we move toward gender parity, and challenging our societies to do more and #PressforProgress. 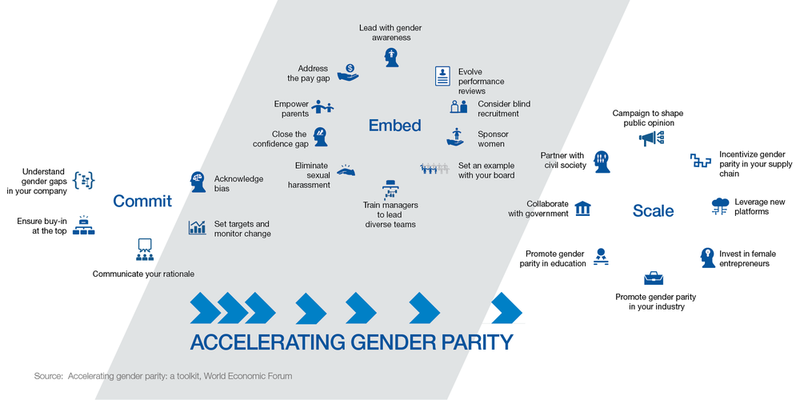 It’s hard to ignore how far we have yet to go when going over the World Economic Forum’s Global Gender Gap report. The brilliant women and men at Nielsen took the information in stride by asking hard questions and ideating on real solutions! Thanks for letting us celebrate International Women’s Day with you, Nielsen!